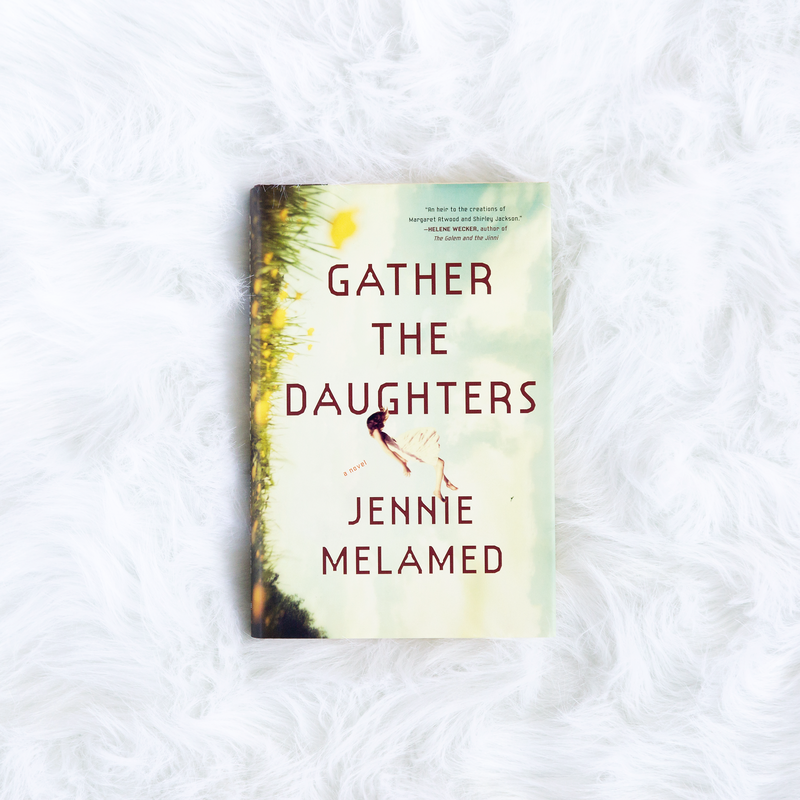 Gather the Daughters by Jennie Melamed is, by far, one of the most compelling, interesting, and disturbing novels I have read in quite some time. Set on an unknown island, the book describes a society of families whose devotion to the rules created for them by the original ten ancestors who founded the society (cult?) is never questioned, and no one ever goes to the “wasteland” except the ten direct descendants of those ancestors. Those rules include a requirement for daughters to be completely submissive to their fathers and engage in a sexual experimentation summer known as the “summer of fruition” once they begin getting their periods in which they eventually choose their husbands and go on to produce a maximum of two children. The rules of their society are strict, complicated, and full of allowances for terrible forms of abuse; however, in the summer, the children of the island run wild and free, and no adult can touch them. I devoured this book in less than 24 hours and found putting it down nearly impossible. The characters are richly developed, the plot is unique (while still calling forth comparisons to The Handmaid’s Tale and Lord of the Flies, for me), and the writing is absolutely beautiful. The rules of the island’s society unfold gradually through the stories of the girls living there. Through all of their chapters, the reader slowly begins to understand the sexual abuse they experience in subtle ways. Instead of trying to be sensational by describing their abuse in explicit terms, Jennie Melamed uses subtle phrases and descriptions of interactions in the early chapters to help the reader understand that the girls are not only allowed to be abused by their fathers until they begin getting their periods, but they never seem to question their abuse and see it as an honorable duty of theirs. Melamed allows readers to ease their way into such shocking behaviors and see the psychological aspect of the abuse the girls endure without protest in such a way that, however heartbreaking and frustrating it may be, their mentality is a realistic and accurate depiction of children in cults. The heartbreak of the girls’ situations is intensified because of Melamed’s development of their characters. I found myself deeply attached to each of the girls and personally invested in their futures. Sentences such as “She sees her life before her like a dim pathway leading around and back into itself,” and “The part of her that cared has expired, and she is too weary to try to resuscitate it,” show the bleakness of their lives, albeit in beautiful terms, and I wished for so much more for the children on the island than the hand they had been dealt. Ultimately, I was not only satisfied with the way Jennie Melamed depicted this incredibly intense world; I was amazed. I can only hope that we see more from her in the future. Posted in FictionTagged book review, cult fiction, Fiction, Gather the Daughters, Jennie Melamed, little brown and companyBookmark the permalink.